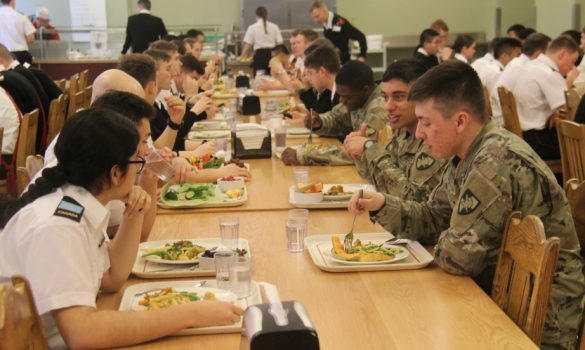 Above: West Point Cadets enjoy lunch with their RMC counterparts in the Cadet Dining Hall. 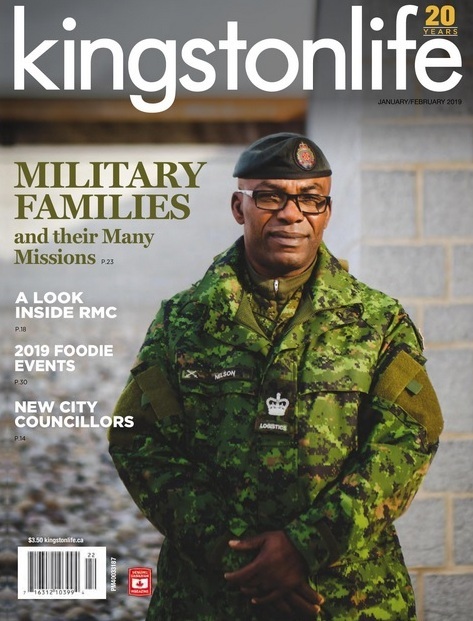 RMC featured in Kingston Life Magazine. See pages 18-19. // Voici une histoire sur le CMR dans Kingston Life Magazine. Voyez les pages 18 et 19. These past few days, I’ve had the pleasure of hosting a Cadet from the United States Military Academy (West Point) as apart of the annual RMC – West Point exchange. They arrived on Thursday and spent the afternoon/evening getting to know us and seeing what our school is like. On the Friday, they followed us to our classes and actively took part in the day-to-day routine of an RMC Cadet. In the evening, we held a “get together” on the Formal Side of the Mess. On the Saturday, they took part in our Winter Sports Day and, if even for a short time, became apart of our squadrons. It was more than fun, but many had troubles bracing the -30 degree weather and blowing snow. For many, this was the coldest weather they had ever been in, especially the ones from the southern states. In the evening, we all got together to watch the RMC – West Point hockey game on a live stream in the Mess. This, in my opinion, was the best moment of the weekend. The game was intense and had both schools on the edges of their seats. Every shot had the crowd going crazy and, when one team would score, the respective fans would go crazy, only to usually be met by equally loud sounds of discontent. Both teams put everything into the game and it showed. 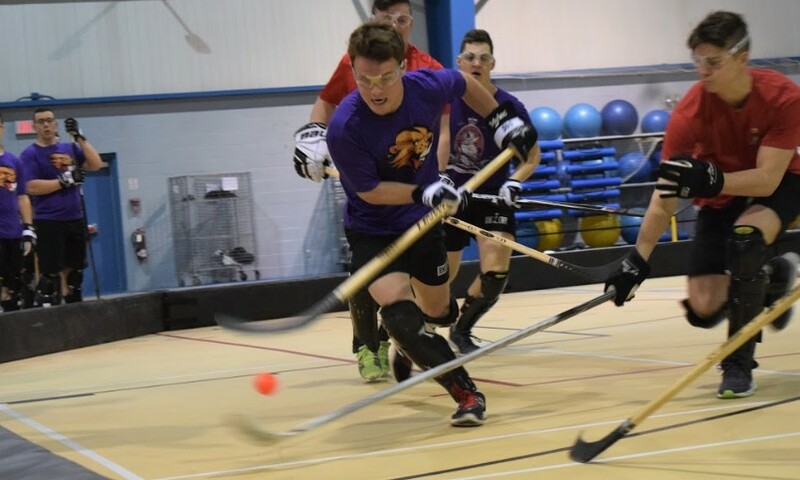 Despite being 500 kilometres away, I think I can speak for everyone when I say that the same energy that was present in the hockey arena was matched at the Mess here in Kingston. This experience was eye-opening and beneficial, both in a career and social sense. I had the opportunity to host another future artillery officer in his fourth year, so being able to talk about our jobs from two different points of view allowed me to get and maintain a firm grasp on the kind of people I would have the pleasure of working with in the future. On top of that, this whole exchange allowed us to understand the true meaning of being in an alliance with someone. The US – Canada alliance is one of the strongest and oldest military alliances in the world, and I can understand why. While there was a fair amount of teasing and pro-RMC/West Point comments made to get on the nerves of our allies, this was all in good fashion. It made me realize that, despite our many differences, we’re on the same team and playing for the same side. As each one of us go on in our career and become proficient in our respective trades, we can rest assured that when things get tough and our lives become beyond difficult, there will always be someone, Canadian or American, who is ready to extend a helping hand and get us back on our feet. Anytime or anywhere, we’ll always be looking out for one another. The exchange trip with USMA and RMC was my first time in Canada and the people here are what really made this trip one to remember. I have been welcomed with open arms from everyone at RMC making me feel right at home. Even though we are from different countries I fell like we are the same. We both have similar schedules, partake in the same activities, and have the same strict military lifestyle. I know that Canada’s officers are trained well here at RMC and I would be honored to fight beside any of them in future combat. This weekend, I had the privilege of hosting a cadet of the United States Military Academy, and gained a unique perspective on the officer training of one of our closest allies. Frankly, our sports day experience was outclassed by our afternoon, as I took him around the campus and explained the history behind RMC. Max Campoli is a third year history major from West Point, and over the weekend he engrossed himself in RMC’s rich history, while also recounting the history of his school. He highlighted similarities and differences in our institutions as we visited Fort Frederick, Currie Hall, the Mackenzie building, the Wall of Honour, and of course the Memorial Arch. Overall, this weekend was an excellent experience and we both learned a lot from each other. Hosting a West Point cadet has been a pleasant experience. This time has provided me with the unique experience of leading someone that knows what they are doing but are inexperienced with the place. Being able to interact with people from a different, but similar culture, was an interesting experience that allowed us to see another country’s version of what we are doing. They have been very courteous and I think that everyone involved has had a great time. The West Point exchange was an opportunity for me to learn a lot about how the Americans operate within their military. It also served as a way to network and get to know a bunch of new people and overall was a positive experience. It was my first time hosting and hopefully in the future I will be able to go on exchanges similar to these. Having the ability to host a West Point Cadet for Sports Day weekend has been a rewarding experience for all involved. My roommate and I had the pleasure to show this “firstie”, the name given to a 4th year cadet at West Point, around the RMC campus and to give him the experience of attending classes here at RMC. I believe that by being here for sports day weekend it gave our Cadet a bit of insight to the inter-College cohesion that can be found here at RMC. 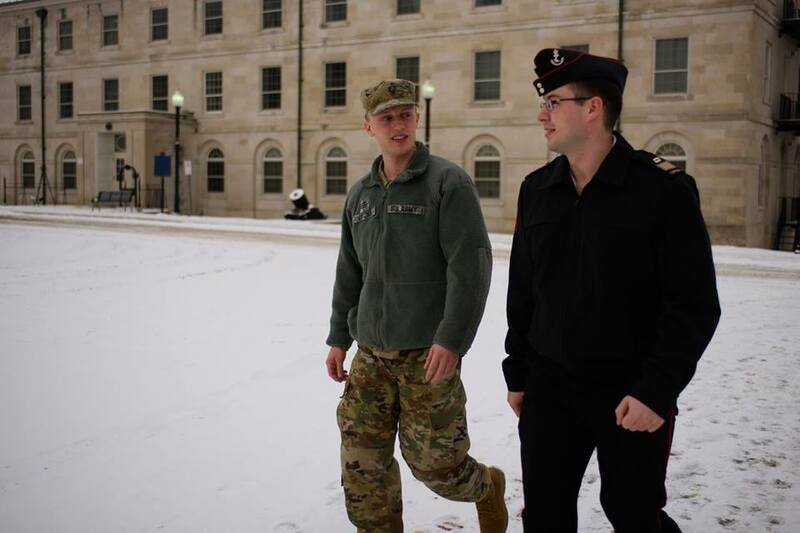 Based on his reactions to the events it seems that our West Point Cadet appreciated the experience of being able to come to Canada and interact with another member of an allied nations military. Both our West Point Cadet and us really benefited from learning about one another’s schools and the traditions that both of us have. Sports day allowed both RMC and West Point to join together in a bit of friendly competition that I think really supplemented the whole experience. It is important that events like this carry on because it strengthens the bond between both of our militaries, and allows friendships to be formed that, if followed up on, can turn into lifelong ones. This year’s winter weekend was a phenomenal time. As the hosting Cadet, I showed my West Pointer around LaSalle and other important places like the dining hall and the CANEX. At night, we’d go to the drinking mess and socialize there. It was quite pleasant. We made sure they had everything they needed to cope with Canadian weather. He was shocked at how cold it was in Canada! We also went out at night to see the town of Kingston, which he appreciated. 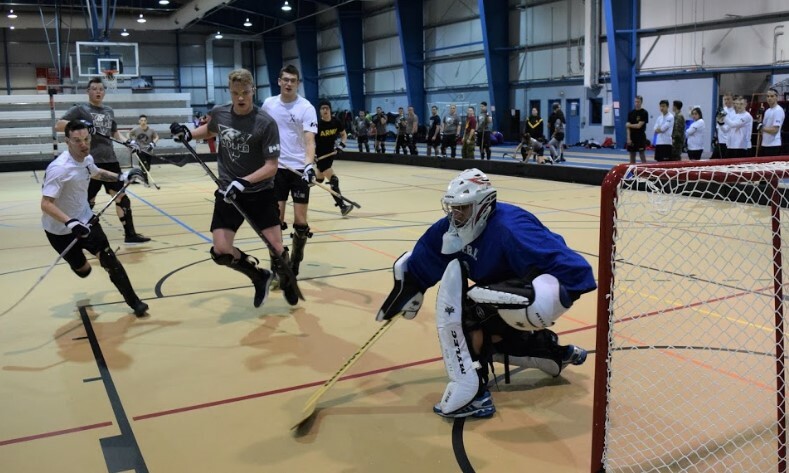 We played broomball, a sport that they did not know existed, and had them try Poutine, while enjoying the USMA-RMC hockey game. Overall, it was a nice weekend. As a First Year Officer Cadet at RMC I get the experience of going to a military college/academy. Hosting another cadet from another military academy and learning about the similarities and differences brings a whole new perspective on the College. The West Point Cadets are a lot like us as they have the same goals and go through similar experiences. I really enjoyed hosting a Cadet as it was his first time in Canada. I had the opportunity to introduce him to some of Canada’s unique foods and activities such as ice skating, poutine, maple syrup and of course temperatures well below 0 Celsius. This weekend my roommate and I were selected to host a USMA cadet. After meeting the Cadet who stayed with us, my roommate and I found it to be fun and interesting to learn the cultural differences between Canada’s and the United States’ military academies. As well as learning, the Cadet who stayed with us attended my classes with me, allowing him to experience the difference between how RMCC and USMA classes are conducted. He enjoyed attending SOLET and found it interesting that Canada has two official languages, and that the CAF expects its officers to be bilingual to the government standard. This was foreign to him. He explained how USMA expects their officers to be able to speak a second language. Since the United States has only one official language, he said he had a choice of which language he wanted to learn as opposed to in Canada where it is a requirement for Canadian officers to be able to speak both French and English. Overall, it was an interesting experience. I enjoyed listening to the cultural differences and some of the contrast between RMCC and USMA. I would recommend hosting a USMA cadet to any Officer Cadet or Naval Cadet who has not yet had the opportunity. 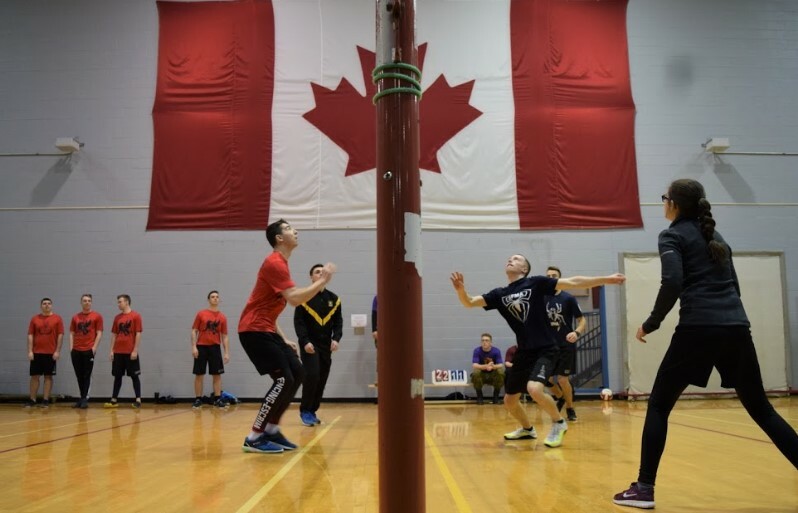 This year’s winter sports day was shared with the West Point weekend. Having the opportunity to compete with the West Point cadets led to more chances to build camaraderie and friendships. Playing sports is great team building and if a team wants to succeed, they have to get to know their teammates and their abilities. This was a key factor in developing positive relationships between Cadets from the two colleges and helped to break the ice. From getting to know each other better, Cadets from both the colleges realized how similar their cultures and lifestyles were while also learning about interesting differences. Overall, the weekend was a success and great experience for all those involved. This week’s Third Year PD session was a review of back briefing and an introduction to briefing notes. Cadets were reminded of the importance of back briefing superiors on plans to carry out tasks as well as the specific components of a back brief. This will prove useful in our future careers as we will have to ensure that we are carrying out the CO’s intent when completing tasks. The second thing we discussed was briefing notes. An example of a BN was provided to us and we learned that it is important to remember the “ABC” acronym when writing them (accuracy, brevity and clarity). By the next PD session, we will have to have a completed briefing note based on an event at RMC such as Grad Parade, FYOP, etc. We will also execute back briefs in order to show what we have learned about them. This week’s PMT for the second years consisted in a short presentation prepared by us in order to confirm what we learned in a prior PMT where we received instruction on, well, presentations! The subject itself was on our hometown, therefore I prepared a PowerPoint on Montréal. Our squadron NCO was present and took notes on our public speaking abilities and quirks. Although it was really interesting to learn about my flightmates’ respective home towns the most valuable thing I learnt about was my tendency to gesticulate quite a lot when speaking publicly, which can be helpful to put emphasis on points, but can be distracting to the audience, so something to work on for next time! January 16, 2019 PMT was a SISIP brief focused on lines of credit, how misleading they can become, how to achieve and maintain a good credit score, and the different variables involved in receiving credit. Among the many things the brief brought forth to consider, the most important by far was responsible spending. The First Years learned how to spend and save their money responsibly early on in their career, giving them the tools, if practiced effectively, to help save them from large amounts of debt and financial trouble later on.